FEDERAL Medical Centre, Nguru in Yobe state, the only federal healthcare facility in the state, is faced with serious depletion of health workers, which is directly affecting services rendered to people of the state. The challenges of the medical centre came to the fore when some concern persons in the state recently raised alarm that the facility is lacking adequate manpower to function effectively and efficiently. 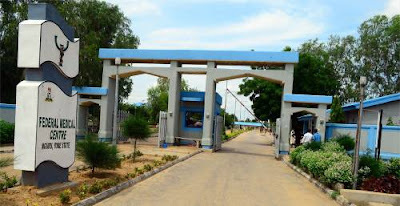 Dr. Musa Abubakar, the Medical Director of the facility, in an interview with DAILY POST Thursday, confirmed that the centre is bedevilled with inadequate health workers, attributing it to years of Boko Haram insurgency in the state that compelled some of the workers to migrate to other states. “The facility is for a very long time suffering from lack of adequate health workers such as nurses and midwives, especially at during the peak of insecurity in the state where must of our health workers particularly those that are not native of the state have left the centre and moved to other states where they think they can be safe,” the MD confirmed. On what the management is doing to bridge already existing huge manpower deficit in the medical centre, Dr. Abubakar said casual health workers are being contracted, saying the management cannot afford to wait for years to receive the green-light for recruitment. “We sometimes appeal to our permanent health workers with incentives to delay or suspend going for their annual leave in order to continue providing the much needed services,” he added.